As the start of college quickly approaches, it is down to crunch time on scholarship applications. For lesbian students, a number of college scholarships are available. Many colleges offer a LGBT Resource Center that can be turned to for scholarships. For students who are looking for extra money for college, numerous opportunities exist outside of college resource centers. Although this list is by no means exhaustive, it is a great start for lesbian students in need of college tuition dollars. Every year, the American Anthropological Association’s Society of Lesbian and Gay Anthropologists (SOLGA) holds a scholarly essay contest. Each paper must be written on a gay or lesbian topic. The winners receive a prize of $400 and a letter of commendation from SOLGA. Judged for their relevance, the essays are also picked out for their contribution towards the understanding of sexuality around the world. In October of 1998, Matthew Shepard was the victim of a hate crime in Wyoming. In his memory, the LEAGUE foundation has created the Matthew Shepard Scholarship specifically for gay and lesbian students. Students with at least a 3.0 GPA can turn in an application by mid-April for a chance at winning the award. Another incident led to the creation of the foundation’s second scholarship. New Jersey Police Lieutenant Laurel Hester served her country until the specter of death loomed in her life. As she counted down her final days, Laurel had to fight for her right to leave her pension and benefits to her domestic partner, Stacie Andree. In memory of her struggle for equality the LEAGUE Foundation started offering the Laurel Hester Memorial Scholarship in 2006. Five hardworking LGBTQ students every year receive this leadership scholarship. Honoring courage and achievement, the $5,000 scholarship issued by Live Out Loud is available to students living in New York, Connecticut or New Jersey. Students have to create six essays, fill out an application and turn in two letters of recommendation. At the end of the process, two students are brought in to the Live Out Loud office for an in-person interview. The mission of the organization is to develop role models in the LGBTQ community, connect leaders to LGBTQ youth and share their stories with the new generation of students. They hold assemblies and after-school programs to help students learn how to make a difference in the community. This scholarship is specifically made for graduate students who are working on a dissertation in lesbian research. Although membership is not required, a preference is given for members of the National Women’s Studies Association (NWSA). Applications are due on February 15 and the winners of the $500 award will be announced after all applications are reviewed. To receive more information, contact Loretta Younger at the National Women’s Studies Association. Partially need-based, the scholarship given by the Point Foundation also serves to recognize the nation’s top students who are marginalized because of their sexual identity. Any undergraduate, graduate, or post-graduate student can apply. Students who receive the scholarship can receive any amount ranging between $5,000 and $28,000. The scholar can renew their scholarship in future years provided they maintain a 3.5 GPA. This foundation serves to help the underprivileged in America and create a support system for LGBTQ youth. Begun in 2001, the Point Foundation has distributed over $ 3 million to the nation’s lesbian, gay, bisexual and transgender scholars. It covers the cost of tuition, room and board, living expenses and textbooks. Each student receives an average of $13,600 a year towards the cost of their education as well as additional mentoring and leadership training. During their college years, Point Scholars are required to complete an LGBT community service project to give back to the community. For the avid writer, a scholarship through the Queer Foundation can be the perfect solution to educational money problems. Students must complete an English essay to promote queer study before continuing on to study in queer theory. This nationwide contest offers three students the opportunity to win $1,000 towards their education. The collected essays are then transformed into a queer-related curriculum to educate high school students. Successful applicants are picked by a panel of judges. After the selection process is complete, the winning essayists will be interviewed and have their references checked. Scholarships are applicable to any United States college or university. For gay or straight California high school seniors, this scholarship contest runs through mid-April. Seniors must show a commitment to civil rights and the LGBT community. Annual awards of $500-$1,000 are made for the winning applicants. 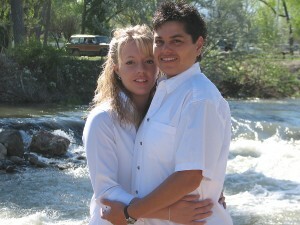 Lesbians in need of educational assistance in New Mexico should apply for this scholarship. Eligible students should be politically involved among the lesbian community. Students who apply by June will able to learn their result by August. Awards of $500 are made every year to two exceptional students. All it takes is one application with the Pride Foundation and fifty different scholarships are immediately applied for. Residents in the states of Washington, Oregon, Alaska and Idaho are all eligible for this scholarship competition. Each scholarship places a particular focus on civil rights and LGBT activism. Ranging from $500 to $10,000, this one application opens up the doors of opportunity for area lesbian students. Some of the awards focus on a specific degree attainment such as law or vocational programs. These scholarships may also require students to have a strong background in leadership or sports programs. Students must apply by mid-January to be considered for this exceptional scholarship program. The Pride Foundation especially encourages students of color and from multiple geographic areas to apply. Any student who has been isolated or ridiculed for their sexual orientation can gain financial and community support through the Pride Foundation. As children grow up stigmatized for their identity, they often fail to live up to their ability. This scholarship program seeks to grant every student the access to an education that they need to live up to their true potential. Started in 1993, the Pride Foundation has awarded over $2.5 million dollars to more than 1,000 scholars. With their partnership with the GSBA, they seek to improve these numbers in the coming years. Undergraduate students in Washington State can apply with the GSBA by mid-January to enter the scholarship competition. Successful applicants receive awards of up to $5,000 each. The Greater Seattle Business Association focuses on students who have promoted diversity in their LGBT community and demonstrate the requisite financial need. Scholars who receive the award often show leadership potential, extracurricular activities and exceptional academic performance. Drawing from a diverse group of scholars, the Greater Seattle Business Administration seeks to improve the world by providing one education opportunity at a time. The scholarship program was started in 1990 by a couple of teachers who realized the discrimination LGBT students faced because of their sexual orientation. These students had the capabilities to perform well in college, but lacked the family, friends and financial support. The GSBA Scholarship has collaborated with the Pride Foundation to better serve their student population. Currently, GSBA has granted over 249 awards equaling more than $806,000. Thanks to the effort of community members it has developed over time to provide assistance to LGBT scholars in need. Although the First Friday Breakfast Club is an organization created for gay and bisexual men, it has a yearly scholarship that is offered to all members of the LGBTQ community and allies. Each year the First Friday Breakfast Club raises enough money to provide at least one $3,000 award. The organization seeks to increase awareness and tolerance and reduce homophobia. With a March 31 deadline, this scholarship is one of the earlier ones to apply to. Eligibility criteria state that students should be Iowa residents and have plans to pursue some kind of post-secondary education. Students are not judged based on religion, creed, gender, race, sexual orientation, marital or employment status. Some of the scholarships given to lesbian students are operated through university programs. The CU-LEAD program is based out of the University of Colorado at Boulder. It stands for leadership, excellence, achievement and diversity. Open to all accepted freshmen, it features a yearly grant of $1,500. The alliance is a group of different academic learning communities that work together to promote excellence. All of the money for the CU-LEAD scholarship program is raised from the Ofelia Miramontes Scholarship Fund. Aimed at creating a diverse student body, the scholarship fund tries to seek out students of different races and sexual orientations. Another scholarship run by a regional school, the Jac Bruno Scholarship is intended for female lesbian students at Parkland College. Students must become members of the Queer Alliance or be a representation of the local lesbian community. After completing 24 hours of coursework with a GPA of 3.2 or higher, students are eligible to receive this $100 award. Special preference is given for students majoring in women’s studies, arts or education. In high school, lesbians and other LGBT students may have to face increased levels of discrimination and isolation. Each scholarship fund on this list is dedicated towards improving the educational prospects of these bright, young students. Students who are kicked out of their families or ignored by their community often have no financial resources to pursue college with. The funds and awards that are provided by non-profit organizations and foundations serve a greater good. In this nation, all people were created equal. The dedicated, hard work performed by the country’s scholarship foundations has gone a long way towards making each member of society truly equal. There is still more work to be done, but lesbians can now take advantage of these scholarship options. By discovering their full potential, they become beacons of light in the community and can help usher in a new generation committed to equality. My name is Francesca Francolini. I’m 33 years old and I’m Italian. I lived in Italy all my life, and over there I played professional softball for 20 years. I participated at two Olympic Games (2000 in Sydney, and 2004 in Athens). I moved here almost 6 years ago because my partner is from Salt Lake City. Since I got here, I had to deal with being a non citizen. I applied for college and I attented the Salt Lake Community College for almost 3 years, and I got my Associates Degree in Business (GPA 3.8). I’m currently on an OPT program which allows me to work for a year. Unfortunately, this program will last only until July 1st, then I will have to go back to finish my degree or I could no longer stay here in the USA with my partner because my visa will expired. I got accepted at the UVU already, and I would have to start in the fall. The problem is, that for international students tuition is extremely expansive ( $6800 per semester). I have 4 semester left to be able to get my 4 year degree. I would LOVE to be able to finish school, and I would LOVE to be able to continue my relationship with my partner more than anything else. I don’t know what you can do for my situiation. I only have 4 months to figure it out my situation, and looking online I saw your website. If there is anything, anything that you could do…please let me know! I played professional softball for 20 years. I participated at two Olympic Games (2000 in Sydney, and 2004 in Athens). my Associates Degree in Business (GPA 3.8). I’m currently on an OPT program which allows me to work for a year. to be able to finish school, and I would LOVE to be able to continue my relationship with my partner more than anything else. website.If there is anything, anything that you could do…please let me know! I am a 41 year old woman in need of financial assistance. I have have been diagnosed with an illness that has kept me from doing physical work at all. I do not want public assistance; my body has quite but my cognative reasoning is sound. I am signed up with the University of Phoenix for a Masters of Science inPsychology; However grants are not available for Masters students. I have been searching a long while for a true opportunity to obtain either a scholorship and/ or grant. If you can help will you PLEASE contact me? I graduated with a 3.46 in my Bachelors of psychology; with a minor in women studies in 4 years (without any highschool education). I obtained my G.E.D my junior year at Arizona State University in 1996. Thank yo so much for any help you can provide. Sincerely, Carri M. Featherly. Carri, this web site is to offer us resources, so please do not waste any time waiting for someone to get back to you. Here, we can find the names of organizations to contact. It requires action on our part. You’ve taken the first step, now take the next. Find a few organizations that resonate and apply to them for financial aid. n.b., Most, if not all, granting agencies require you to be either enrolled or admitted in a program of study. Clearly, you know how to accomplish, so keep at it! Carri, you should be eligible for a Stafford Graduate Student Loan. Given our nation’s need for qualified psych counselors, it could be worth taking on the debt to pay tuition and your monthly overhead. ALSO, unless you really need to study online, check out local state universities — they tend to be more generous when it comes to supporting their students. Hey, I am a single, African-American, lesbian, mother. I have recently been accepted to the Art College of my dreams! Nervous and overwhelmed at the same time. I am praying to make it though this…without the fears of money. Wondering if you know of any scholarships that can help me? !